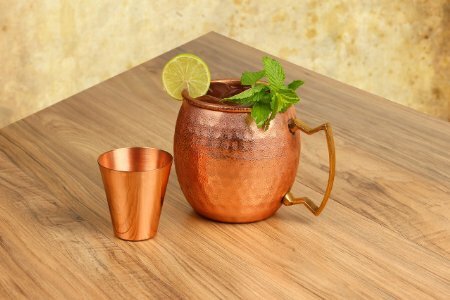 The Moscow Mule is often called “the classic summer cocktail.” This mixture of ginger beer, vodka and lime juice hits the spot on a hot day, and the copper mug provides the additional coolness necessary for this type of weather. The copper mugs are usually pretty expensive, but right now you can get a CRAZY deal on a combo pack that also includes a shot glass. (You need a shot glass if you want to get the measurements right). Typically $50, you can get a mug right now for just $12. Think about that for a moment. You can save 76 percent on an investment in your summer happiness. You really cannot enjoy a Moscow Mule without the correct mug. And you really do want to enjoy a Moscow Mule this summer. So, yeah, this is pretty much perfect.